A graduate from the Australian Ballet School, QUT Dance and after having danced with the Australian Ballet Dancers Company and Queensland Ballet, Gene pursued further studies in psychology completing University degrees including a Masters and Doctorate in Sport and Exercise Psychology. Working across the performing arts, elite sports and the corporate sector, Gene has focused upon the application of performance psychology and performance enhancement within these domains. Her involvement in the performing arts has included being a Lecturer in Performance Psychology at QUT Creative Industries from 2001 to‐date, a Career Development Advisor for the SCOPE and SCOPE for Artists Programs, a regular contributor to DANCE Australia magazine, the Head of Student Health & Welfare at the Australian Ballet School, in addition to consulting, servicing and providing workshops to various performing arts schools, associations, and individual students and professionals. She has significant experience in working with and leading multidisciplinary teams within high performance settings, and possesses specific expertise in the area of career development and transition. Gene has supported a number of Olympic Winter sports programs across three Olympic cycles (Torino 2006, Vancouver 2010, Sochi 2014), and has worked extensively within the elite sporting system at both State and National level in both service provision and leadership roles. 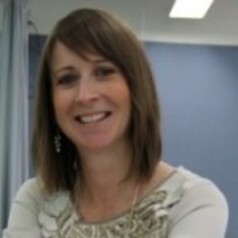 Gene’s research focus has centred upon studies across both dance and elite sporting domains, she is currently an Associate Editor of the Performance Enhancement & Health journal, on the Editorial Board of the Annals of Applied Sport Science, and regularly contributes to international and national journals and magazines including DANCE Australia. During her career, Gene has developed a broad experience base cultivated within established and start up small-through-large public and private organisations operating across Australia, New Zealand, North America and the United Kingdom. Positions within these companies have included both consulting and internal roles across departments such as Learning and Development, Human Resources, and Health and Safety within the employment, mining, transport, energy, engineering, construction, allied health, education, training, Olympic sport and performing arts industries. Gene has worked in Senior Executive and Management roles across a range of industries, including having held multiple positions on Boards and Advisory Committees. She is currently a Board Member of the Queensland Ballet, Chair of the Tertiary Dance Council of Australia, a National Executive Committee Member of the Australian Society for Performing Arts Healthcare, a Performance Health Advisory Panel member for the Queensland Academy of Sport, and the Newsletter Editor for the International Association of Dance Medicine and Science. She joined QUT Creative Industries faculty in the role as Head of Discipline – Dance in November 2012.